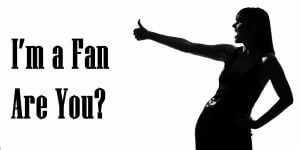 Im a Fan of AT MINDY'S SALON 44... Are you? Fill in the below form and you can recommend ‘AT MINDY’S SALON 44’ to a friend or family member via a text message. 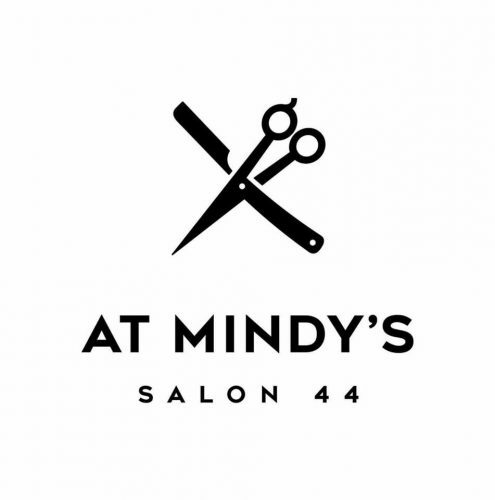 Show your support with a quick share of ‘AT MINDY’S SALON 44’. With multi award winning stylists Mindy and Lizzee on hand who specialise in Colour correction, precision cutting and formal upstyling, you can’t go wrong @Mindys. We love our amazing clients and LOVE what we do. @Mindys we believe you are only as good as your last haircut so every client deserves your best work. Mindy and Lizzie are amazing hair stylists! Their work is always professional, and of a high standard. They listen to what you would like done, and can also offer great suggestions when asked. They are beautiful caring people too! My hair has been in the capable hands of Mindy and Lizzee for many years! They are both very talented and clearly love what they do. The atmosphere in the salon is always friendly and upbeat and you leave looking amazing every time! The hair dressers in this salon are amazing!!! I am constantly asked where I get my hair done. Mindy has been my hairdresser for many many years and I would never think of going anywhere else she is simply the best!! I have been a customer for over 10 years. The girls are professional, their work is impeccable and the salon atmosphere is vibrant and friendly. I will always be a customer at Mindys because I always leave happy and their prices are on point! Always professional, creative and friendly. Never had a bad experience! Great with children too. I wouldn’t trust anyone else to make me feel like a million dollars! Lizzie and Mindy are the absolute A team. Their style, experience and advice is irreplaceable. The vibe in the salon makes you feel like a friend and I’ve never once been anything other than delighted with my experience. We’re the lucky ones for having such talent in a regional city. Mindy and her team are one in a million, this salon and the stylists are so very talented I refuse to go anywhere else. You will not regret going to at mindy’s salon 44. I would not allow anyone but Mindy (or Liz when Mindy is away) to cut/style my hair. When random people stop me and ask where I “get my hair done as it looks gorgeous” you know you have the right person looking after your hair needs. Always cheerful. Always helpful. It’s like catching up with a young friend instead of an “appointment”. I won’t be EVER going anywhere else….EVER! Mindy certainly knows her trade….. better than any others I might add! Mindy and Lizzee are amazing! Always leave super happy! The salon has such a great and relaxing vibe! Mindy and Liz always have great tips and advice. They are so good at what they do, I wouldn’t go anywhere else!! Mindy’s Salon is a place to go relax and enjoy the fabulous service! Top hairdresser with amazing passion for her craft! I have watched Mindy grow from strength to strength. I admire her work a great deal and have always known her to be a great people person and very professional. I am a huge fan of Mindy and can’t wait to see what she is up to next! Salon 44, more than a salon,always profecional and delivering the highest quality for whatever the client has in mind. Done with genuine care as well as pride in the quality of each and every cut. You will never leave feeling any less than fantastic! Mindy is a genius when it comes to hair! She goes above and beyond every time. I love her creative, fun, loving vibe. The salon is beautifully set up and I’m always greeted with a smile. Best salon in town! Mindy is Coffs’ premier hair-stylist and colourist! I love her creativity, enthusiasm, ethics and genuine love and care of people (from all walks of life)! The products are amazing and not tested on animals! This matters! Love walking out of there loving the colour and fun every time. Can’t recommend highly enough. My hair has never looked better since i started seeing Mindy. Great knowledge and service. Love it! Why would you want to go anywhere else!! Mindy has been doing my hair for a long time. I am one of those clients that changes my shades of blonde all the time and yes I always walk out feeling great … Awesome job Mindy. Thanks Lizzie you are wonderful too. I am a fan of AT MINDYS SALON 44 because Mindy Bell herself is an amazing hair stylist, a beautiful woman who always makes her clients feel very special. Mindy and her staff always make you feel welcome and relaxed. I would encourage everyone to go to this amazing Coffs Harbour Salon. Mindy and Lizee are both hairdressing superstars! Having been a client for many years says it all – amazing ladies, amazing stylists! Mindy & Lizzy are amazing ladies.. Very talented and bubbly, take pride in their work.. Highly reccomended! Always professional happy and are amazing at what they do!!! Best hair dresser in Coffs Harbour!! Excellent service and very talented. I`m a fan of this business because it`s the place I find Mindy, who cuts and colours my hair so well. It`s a happy, fun place, and best of all, the products Mindy uses are vegan! That REALLY gets 10 out of 10 from me! By far the best hair salon in Coffs Harbour. I’ve been coming to Mindy for years. Friendly, professional service always delivery exceptional hair cuts and colour. I’m never disappointed with the service or style. Since I’ve been a customer I have had countless comments on my hair. I highly recommend @Mindys for anyone. All of my family come to Mindy and will be coming here for years to come. Mindy and Lizzie are always happy and friendly. Nothing is too much trouble and both are excellent hairdressers. You say it they do it. They are very knowledgeable and give advice to keep your hair healthy. It’s all the little things these girls do that’s makes a huge difference!! I have been going to Mindys for years ,both Mindy and Lizzie are very professional .They are beautiful people I walk away from there everytime feeling like a new person!! Mindy and Lizzie are amazing at their job and beautiful people. I always walk out of there feeling like a million dollars! Mindy has been my hairdresser for years and is the best at what she does. Mindy always goes above and beyond and the service is second to none. I always walk out of AtMindys not only loving my new hairstyle but feeling extremely relaxed. Mindy is loved by all her clients including myself and is more than deserving winner of this award. Mindy has been my hairdresser for years and is the best at what she does. Mindy always goes above and beyond and the service is second to none. I always walk out of @Mindys not only loving my new hairstyle but feeling extremely relaxed. Mindy is loved by all her clients including myself and is more than deserving winner of this award. Mindy and Lizzee go above and beyond for their customers and they are both exceptional at what they do! Mindy and Lizzee are the best in the business. They are so passionate about what they do and are always up to date with the latest trends. These chicks are absolute Rockstars and always make me feel like one too! Great business. Professional, friendly and caring. Not to mention Mindy is an awesome hair artist. They are friendly while being professional, and of course do a fantastic job on my mop of hair. I always walkout of the salon looking and feeling like a million dollars! Hair styles and cuts have been perfect every time, happy and fun vibe when I’m there. Welcoming and caring girls. They have the best hairdressers on the Mid North Coast. I love the Salon it is beautiful and the atmosphere is electric. Mindy’s knowledge and drive to perfect every client that walks in. Always do the most amazing colors and cut, best service! Best hairdresser is coffs!! They are very friendly and caring, and they listen to what my daughters and I want, they always go the extra mile to help out. Lovely ladies. At Mindys is the best hairdressing salon I have ever been to, I have very thick curly greying hair and At Mindys have made my hair look gorgeous with purple and pink highlights. I feel years younger. It is staffed by two gorgeous ladies who treat you like family. One thing that I love about Mindys is the atmosphere, the staff are always happy & up lifting. It’s so refreshing to go to a business where they always seem to be having a good day & things seem to flow really well. It makes me as a client feel so comfortable. The quality of work & service is second to none. Iv only been to this business for the first time this year & im glad Ive found Mindys. On one of these occasions, I had to re-booked an appointment at the last minute, I was off to a wedding & needed an appointment asap, Mindy went out of her way to help me, she forfeited her own lunch brake to spend over an hour on me & my hair. She went above & beyond to make sure I was happy & even made me a coffee so I could relax while she worked through her brake. 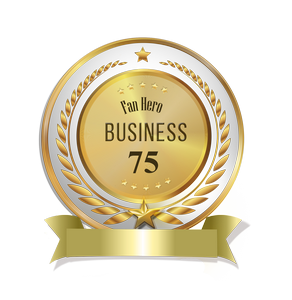 It’s hard to find genuine people who truly show passion for their business & want to go the extra mile to help. I think ‘At Mindys Award Winning Style’ hair dressing studio is a well deserved business for the Fans choice award, I’m a Huge Fan & will continue recommending this business to everyone I know. Great service with an extremely high level of knowledge and ability. Best hairdresser in town! @Mindys is very passionate about making people feel good. They promote products that are environmentally friendly. I travel 2 and a half hours just to go back to Mindys. They do an incredible job! Mindy is totally committed to giving the best customer experience ever. And Mindy and Lizzie are great at what they do! My whole family 5 of us, 3 generations attend this fabulous hairdressing salon. We have been being styled by Mindy for years. Service, professionalism outstanding! Mindy gives clients confidence to move out of their comfort zones. It’s so refreshing to see hairdressers that are so passionate about what they do and it shows in their work . They are genuine and hard working professionals ,with great service and I always leave with amazing hair. Mindy is the best hairdresser/stylist i have ever met. Because we always study constantly to upskill and be the best at what we do. Using only all australian made and owend profesional de lorenzo products with no animal testing. This salon use vegan products and support No Animal tasting and the ethics that North coasters love ….. Australia made and owned Great hairdressers in this salon .